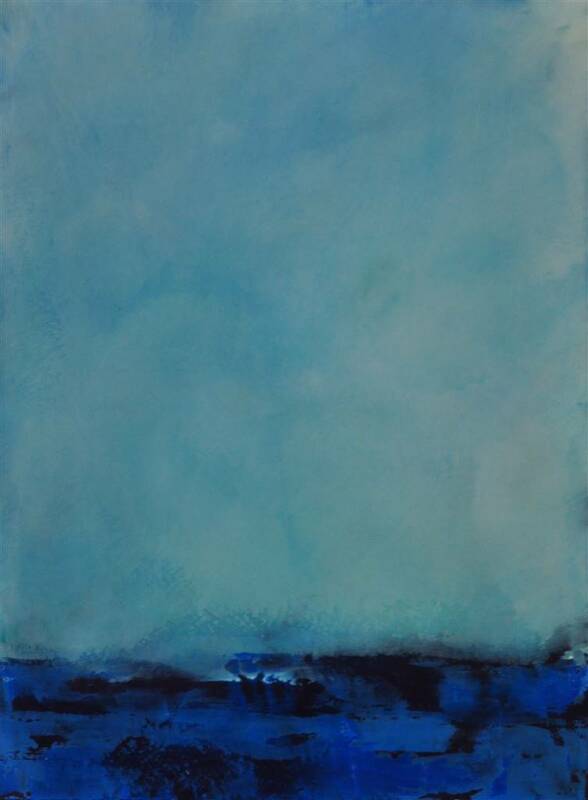 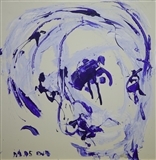 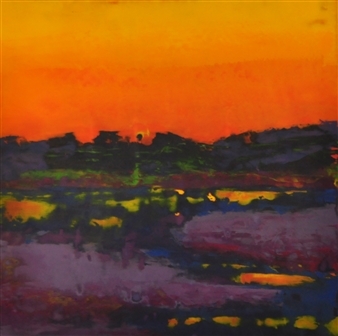 Pia Sjölin paintings emanate energy. 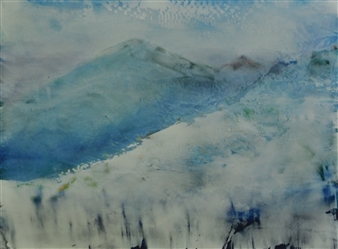 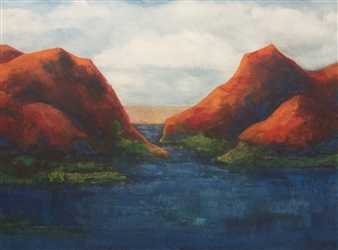 The Swedish-born artist finds inspiration for her work in nature and favors landscape as her dominant theme. She depicts the Nordic landscapes of Sweden, as well as the panoramas of her American home. 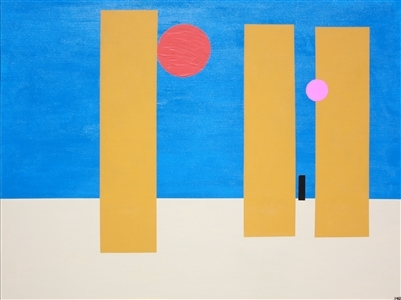 Sjölin’s powerful compositions are often almost minimalist. 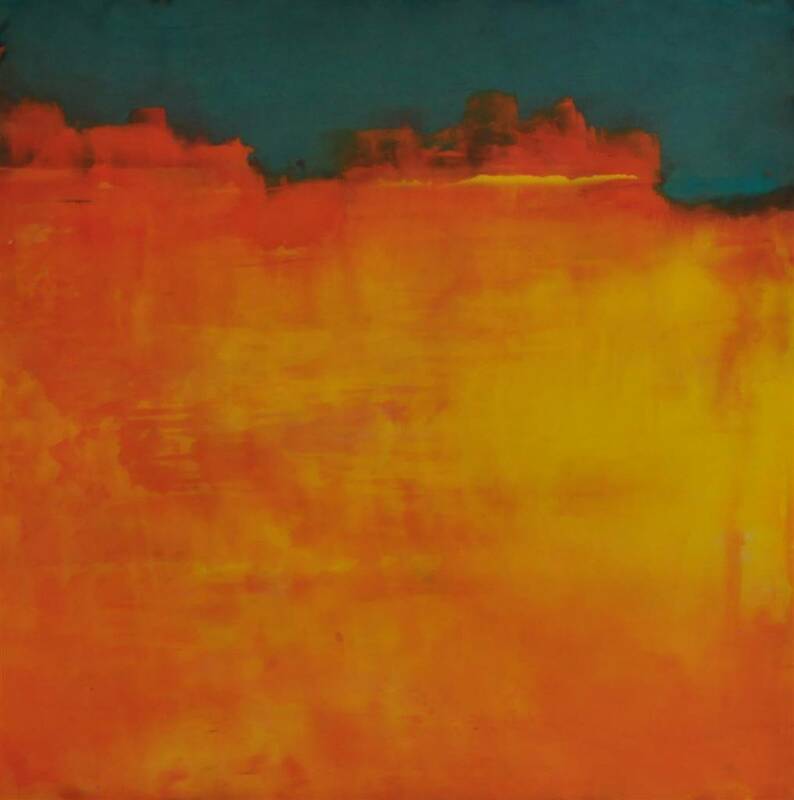 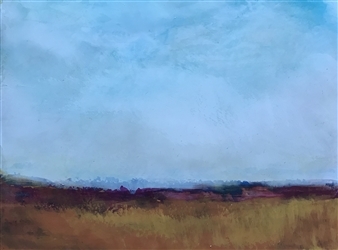 The simplicity and monumental grandeur of works such as Canyon Calling or Fall in New England serve to heighten the powerful effect of this artist’s color pallet. 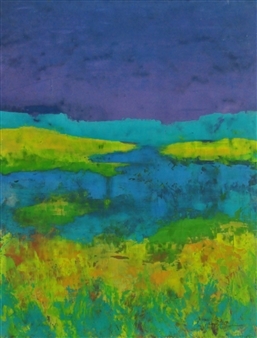 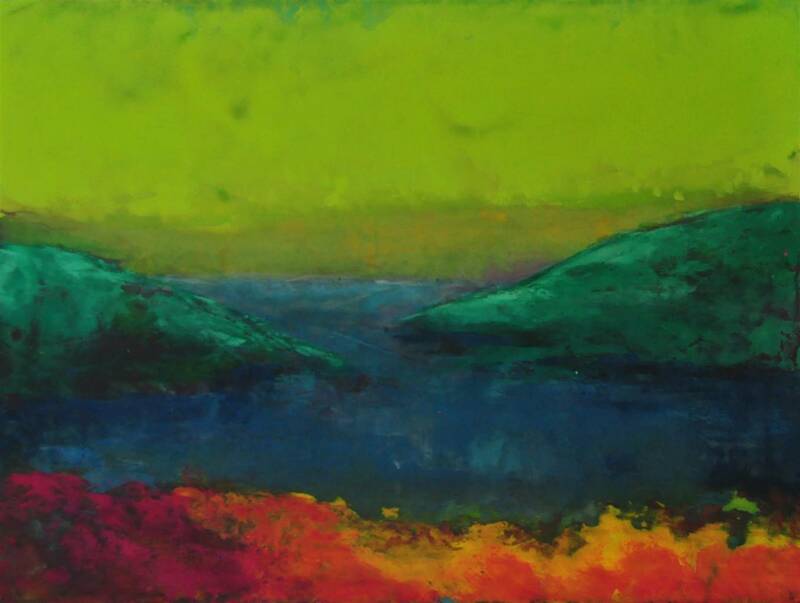 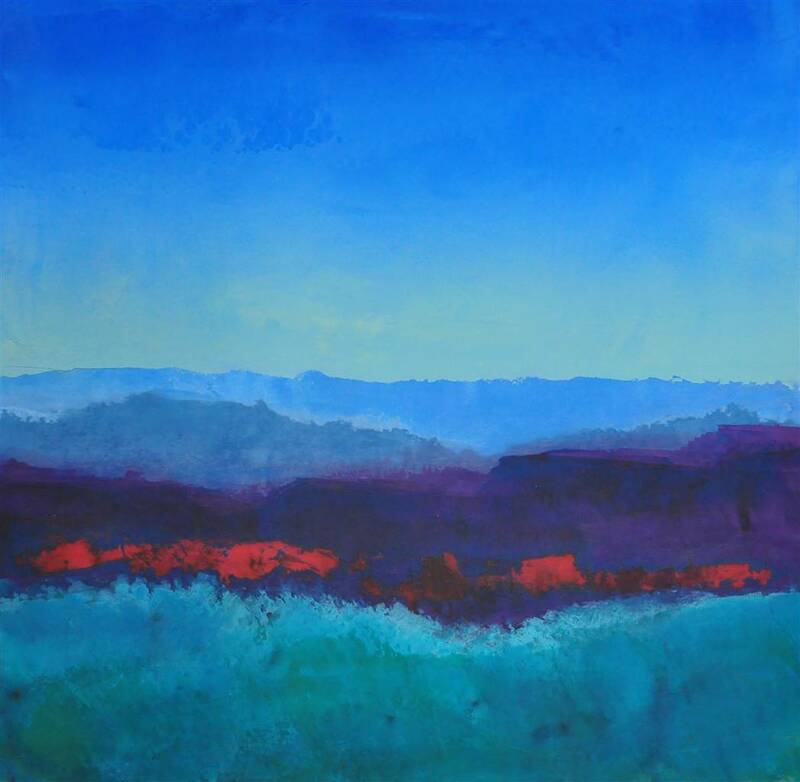 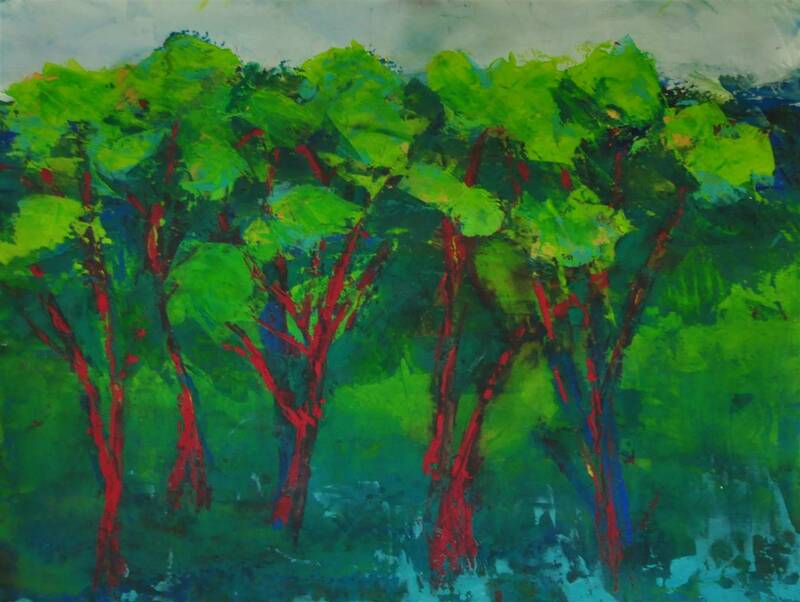 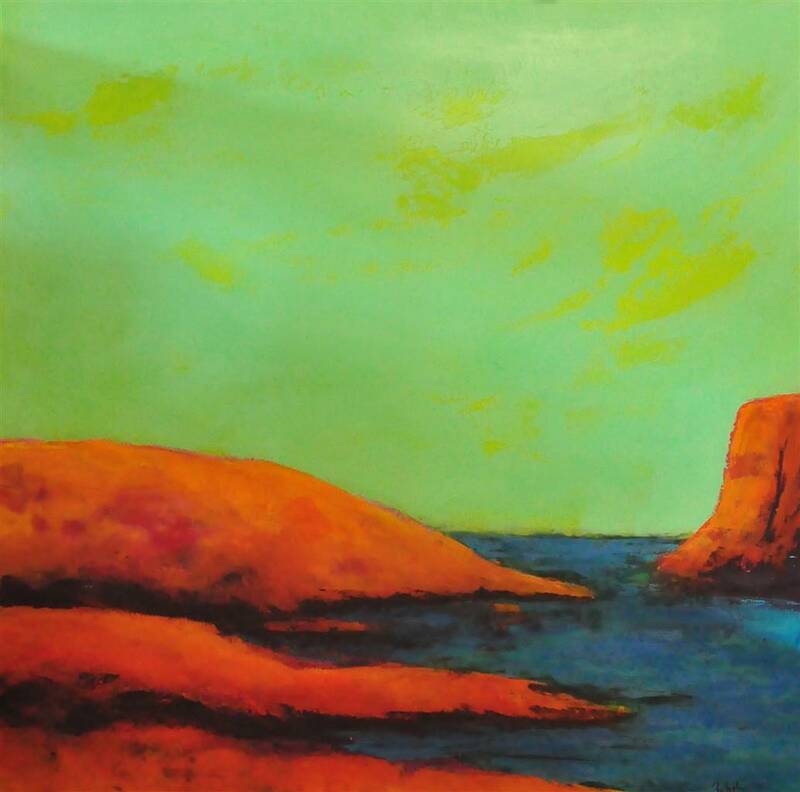 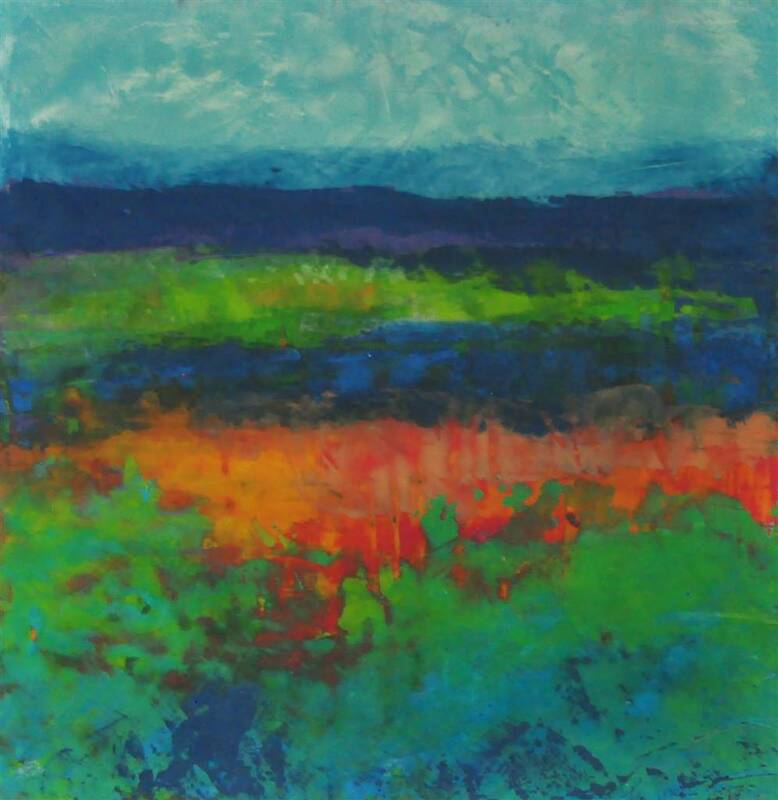 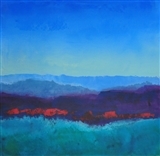 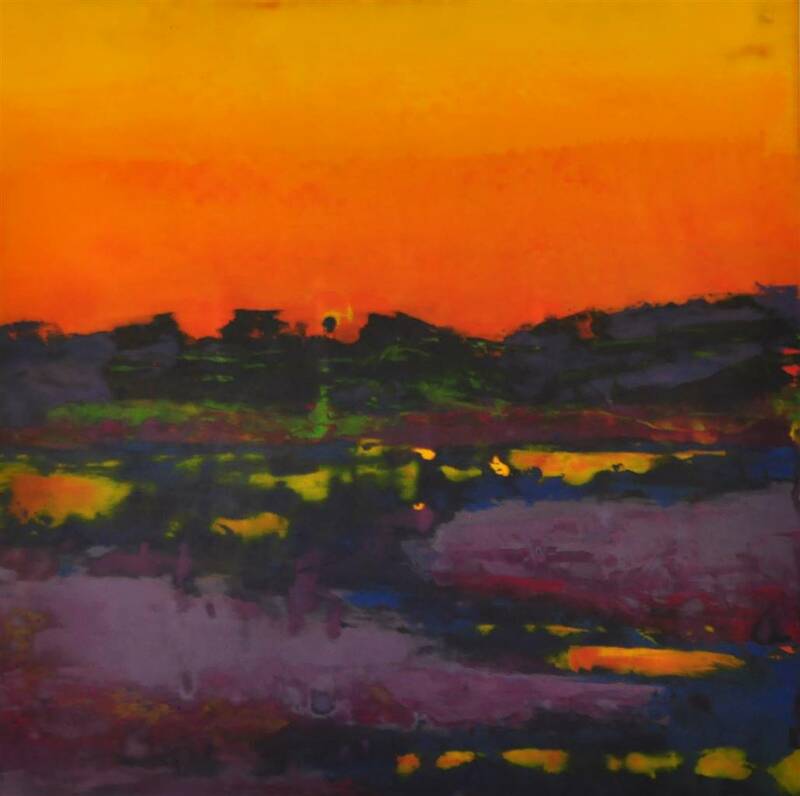 Bold, vibrant color is the principle subject of her work. 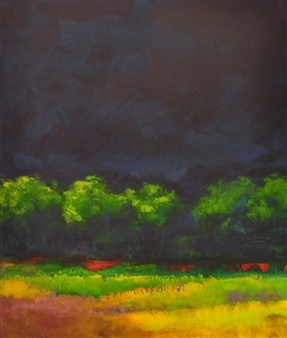 Sjölin is able to use hue in a way that surpasses the merely decorative. 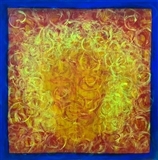 It commands attention as meditative and serene, yet intensely energetically charged. 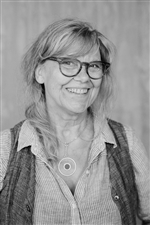 Sjölin writes that for her contact with nature is a spiritual experience. The transcendent beauty of her paintings clearly conveys this idea. 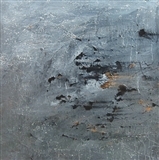 Sjölin is a highly versatile visual artist, renowned also as a designer. 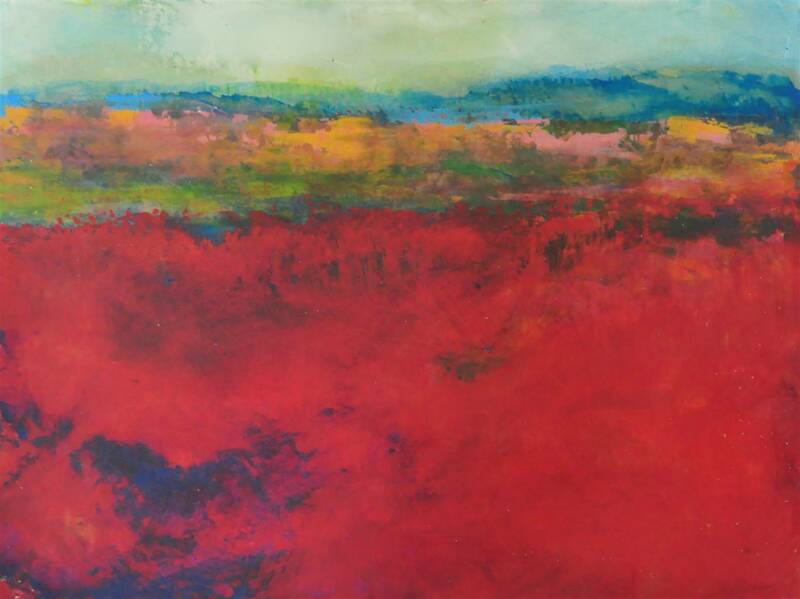 Her impressive body of work includes painting, blown glass and textile design, murals and faux finishes. 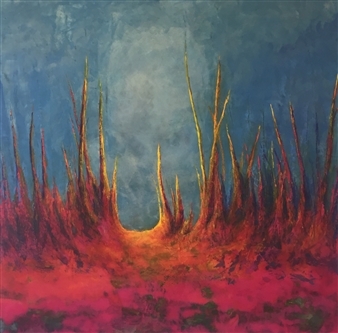 Her work has been shown at museums like the Smithsonian, Corning Glass Museum, the Cooper-Hewitt Museum, and is in private collections throughout the world.